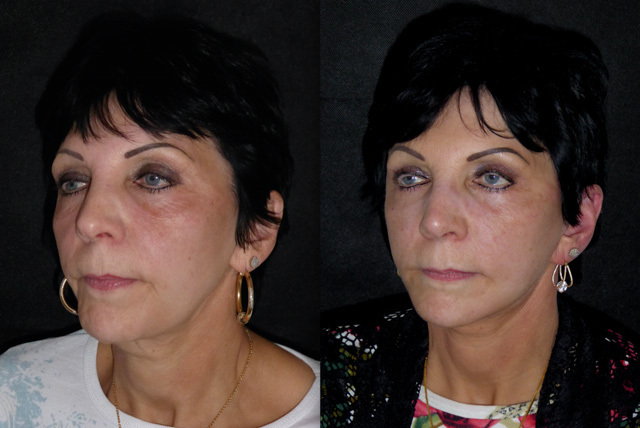 Dian had undergone a facelift, necklift, upper eyelid surgery and ablative CO2 laser skin resurfacing 10 years before she came to me for consultation. 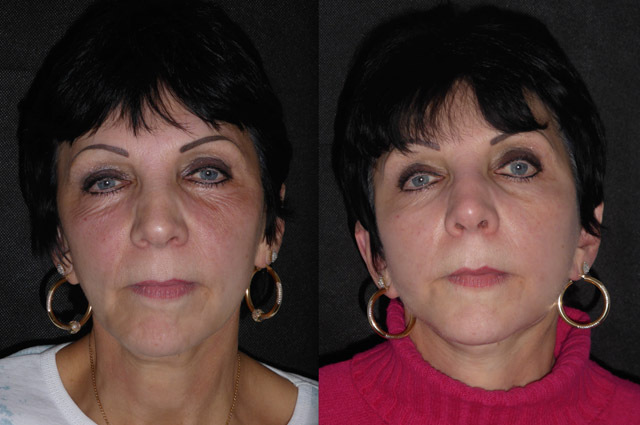 She felt her face had aged again and was concerned about facial symmetry. 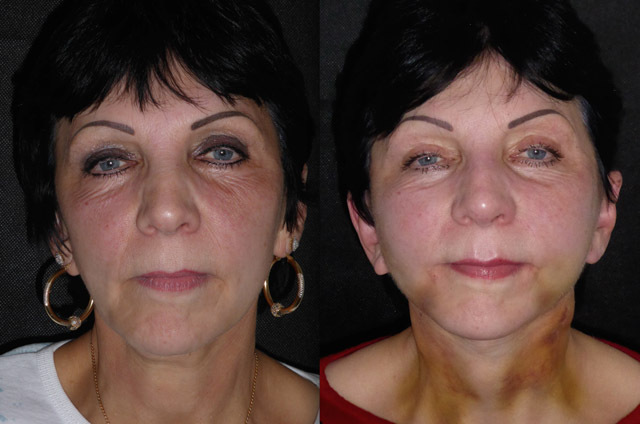 Her skin facial skin pigment had been lightened by her previous laser and this is exactly why I don’t do fully ablative CO2 laser for skin resurfacing. 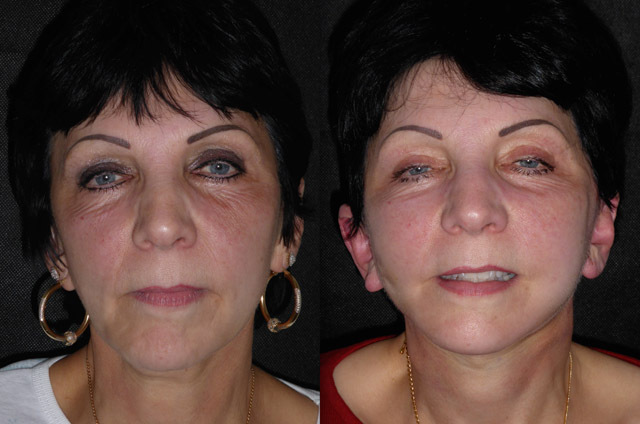 She also had mid facial rosacea and some thread viens. On her profile picture before we can see the line of demarcation where the previous laser has been performed. This also serves as a really good guide for the extent of neck descent that has occurred since. 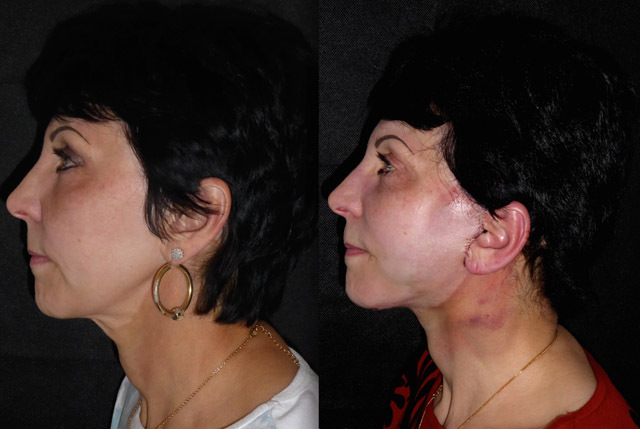 We agreed to undergo revision face and neck lift and platysmaplasty. What is interesting about Dian’s jawline is, being a slim lady naturally, her submandibular salivary glands are visible just below the jawline. 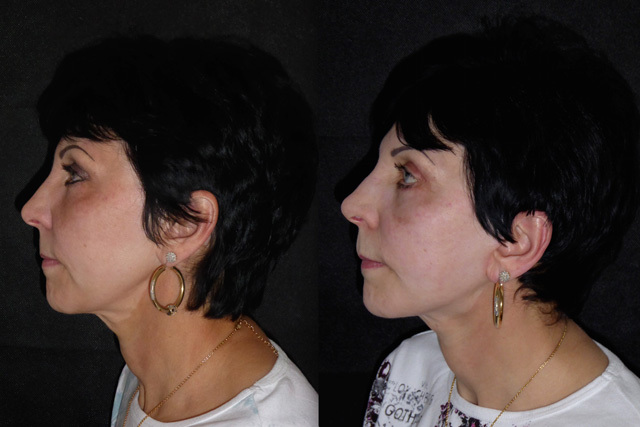 Some surgeons remove part of this gland in facelifting to really define the sharp jawline; this is a step too far for me, to reproduce natural looking facelifts time and time again I try to remove as little healthy tissue as possible. 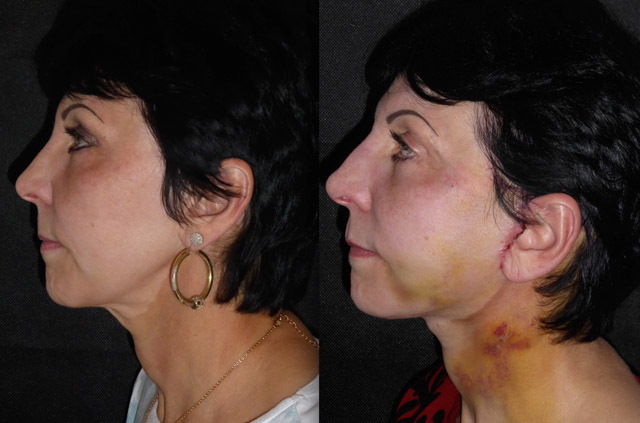 Submandibular gland excision is a treatment for salivary gland disease not the aging face! 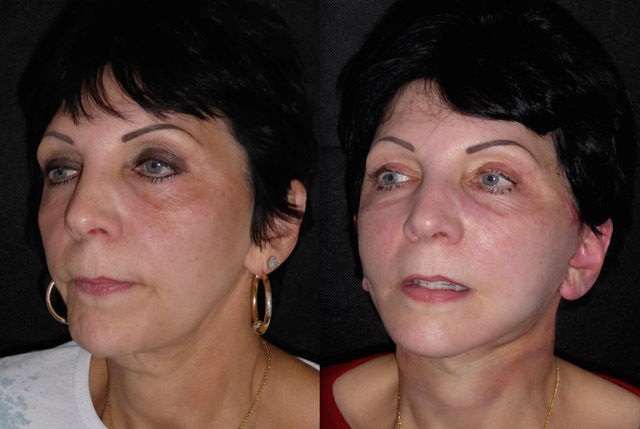 Dian breezed though her revision face and neck lift and platysmaplasty yesterday. Such a go getter, visiting her in the hotel afterwards I wouldn’t have known she had undergone 4 hours of surgery a couple of hours before. Already her mid face is more voluminous and youthful, her jawline defined and her neck line nice and tight. We can see how much her previous hypo pigmented line has elevated. A week later and Dian has come back up to London for her stitch removal. And there is the bruising! 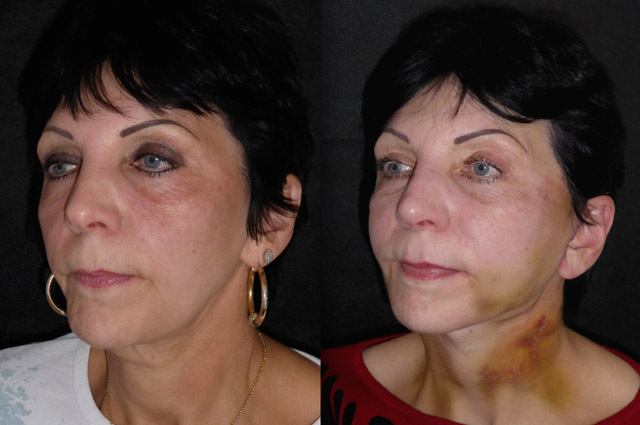 Often bruising can take a few days to come out. 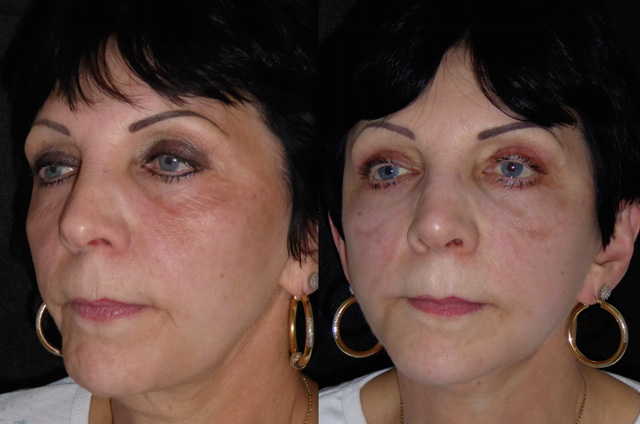 Usually day 3-4 onwards but it will be gone by 10 days with a little help from my pulse dye laser. Dian is looking just brilliant. 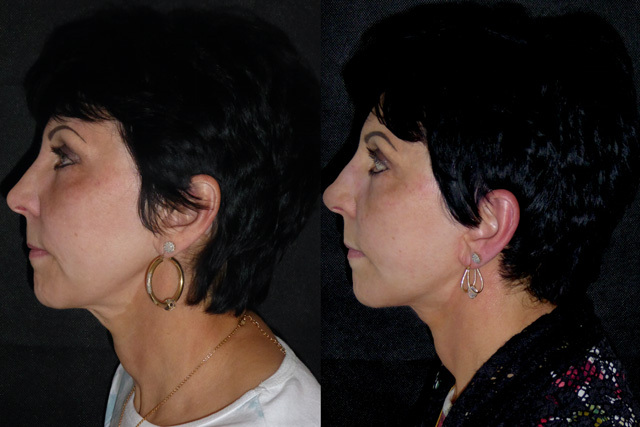 Her facial proportion has improved and her jaw and necklines are nicely defined. Those of you with a keen eye will see I have just put a little filler in her upper lip to volumes and symmetrise her cupids bow and support the lateral lips. These photos are a little bee-sting swollen but by the time she is back home in Wales later this afternoon they will have gone done nicely. It is always a good day when Dian is back in clinic. She is one of life’s sunny people who just make you smile. She is doing brilliantly. Scars are now healing really well - visible on her profile pic. 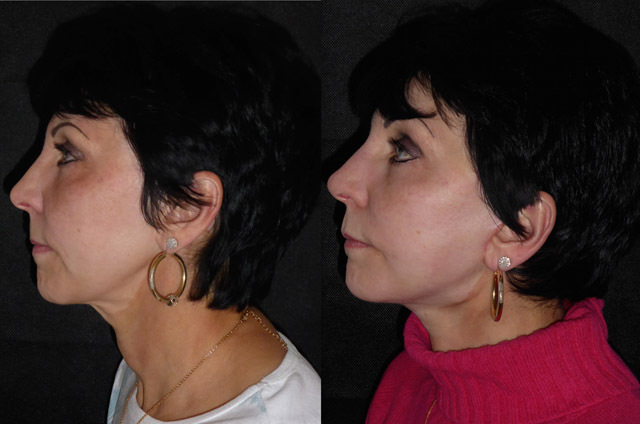 Her new lips suit her much more volumous mid face and defined jaw and neck line. Her skin is looking better too. 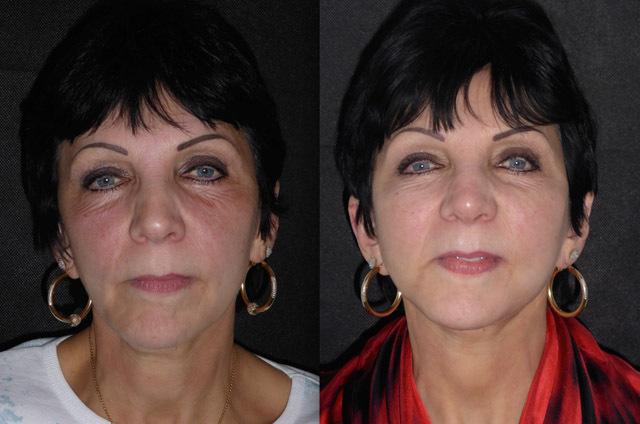 She has had three sessions of pulse dye laser which had hugely improved her facial flushing and redness. That little lump visible a the corner of her jawline on 3/4 view? Thats the submandibular gland we saw at day one! It is soft and smooth with no hard lumps so can be left alone. 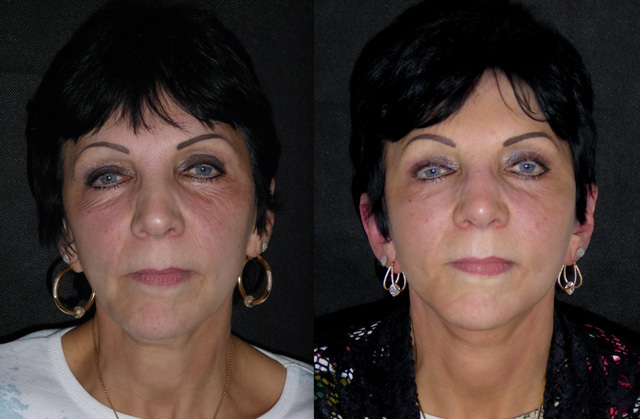 Three months out or 12 weeks is a really good time to judge the result of a facelift. It is enough time for all swelling to relax, scars to contract and most people have really settled into their new face at this stage. Dian is no exception and is just glowing. 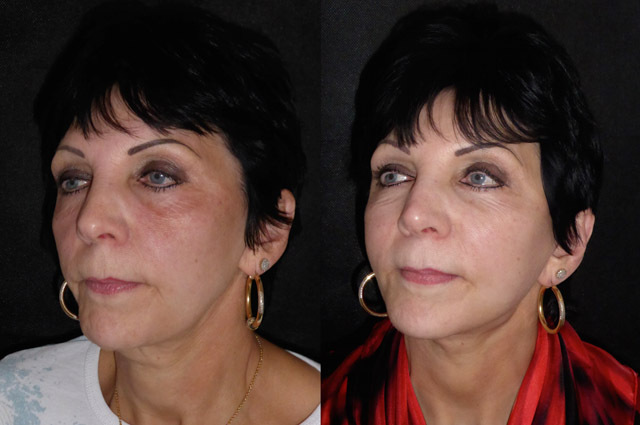 Her pulse dye laser treatment is completed so her skin is homogenous and healthy, her scars are fading beautifully and she looks happy and healthy. Since the last photos I have tweaked one area - Anyone spot it? 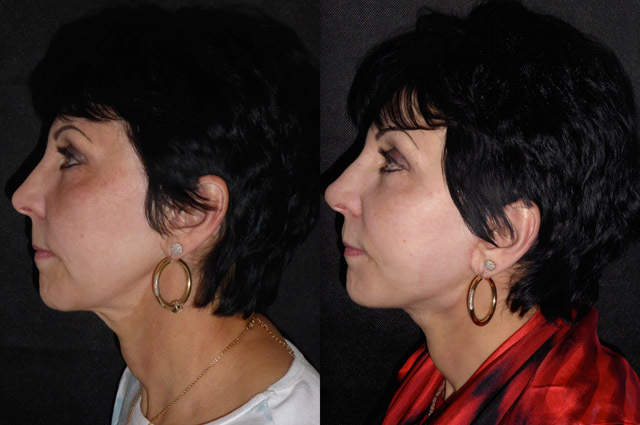 A minute amount of filler carefully injected in her nasal tip has projected her nose a little and elevated her nasal angle. Did Dian ‘need’ this? no, but I think it has given further balance to her result. Next on Dian’s wish list is her lower eyelid skin crepiness which I will address before her 6 month photos. Dian’s lift at 10 months is holding really well. 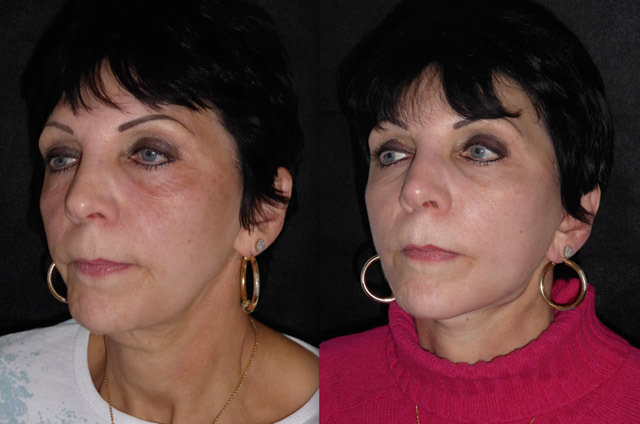 Her skin is much healthier now, more homogenous and glows. 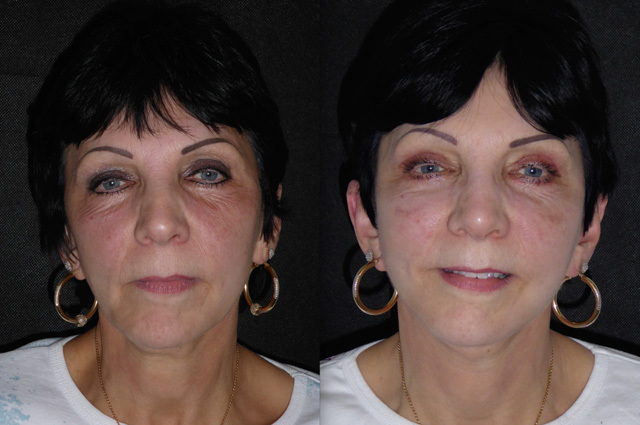 Her lower eyelid skin crepiness is much smoother. She is looking great.